I work on a wide range of clinical negligence cases including claims against NHS and private hospitals, GPs, pharmacists and opticians. These include delayed diagnosis and referral, inappropriate treatment and surgical errors in many areas of medicine including orthopaedics, cardiology, emergency medicine and cancer. I have a particular interest in gynaecology and other areas of women’s health. I also represent bereaved families in fatal negligence cases and at inquests. I work closely with a Partner on cerebral palsy and maximum severity brain injury cases. I obtained my law degree and a Medical Law Masters whilst employed in the pharmaceutical industry, trained at Barlow Robbins and worked for several other law firms before returning to the firm in October 2013. I am also an accredited APIL litigator. Negligent arthroscopy – Deborah recently settled a claim on behalf of a 46 year old gentleman injured during an arthroscopy on his knee. As a result, he developed a limp and was unable to kneel or squat. This prevented him working in his previous full time role. Expert evidence showed he would need knee replacement surgery several times in the future. The Defendant Hospital Trust admitted they had missed a tear in the knee during arthroscopy and carried out an inappropriate procedure. The case settled by mediation. Delayed diagnosis of bowel obstruction – Deborah recently settled a case involving delayed diagnosis of a serious bowel obstruction in a young lady expecting her first child. The combination of a number of breaches of duty by the hospital concerned led to the Claimant suffering several days of excruciating pain, sepsis, and multi-organ failure. Physically, she recovered well by the traumatic events of the hospital admission left her with PTSD and depression. The matter was settled without the need to issue court proceedings. Delayed diagnosis of a serious blood condition – Deborah recently settled a case involving a twelve month delay in diagnosis of a serious blood condition. The patient suffered year of unexplained fatigue at a very important stage of their career and had been at risk of a potentially fatal thrombotic event. Fortunately however they escaped any serious long term harm and are now receiving effective treatment. Breach of duty was admitted by the hospital on receipt of the letter of claim and early settlement was reached. Failure to remove a vaginal pessary causing years of pain and infection – Deborah settled a case involving failure to remove a vaginal pessary, which should have been changed every 6 months, causing 8 years of symptoms, including repeated infection and abdominal pain. Compensation for pain and suffering as well as for the additional family care was paid by two defendant GPs before issue of proceedings became necessary. 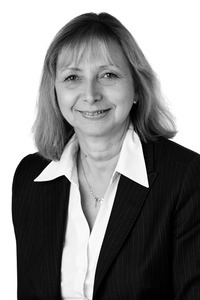 Failure to diagnose testicular torsion – Deborah established liability against a defendant hospital trust following failure by an accident and emergency department to identify testicular torsion in a nineteen year old who then lost the testicle which had to be replaced with a prosthetic one. "Deborah proved to be excellent. She was very approachable. We had every confidence that under her guidance we would win our case which we did. We are so grateful to Deborah for all her tireless efforts." "Deborah provided a very friendly and highly professional service throughout which made a stressful time more bearable. We appreciate her hard work and would highly recommend her to anyone.". "Deborah and the professionals she used were all fantastic from start to finish and the level of expertise used we are certain helped us in this case." "Deborah worked tirelessly on our behalf to achieve an outcome we are delighted with. We are more than satisfied with the level of service from Deborah and Barlow Robbins and they will be our first choice if we ever need help in the future." "For the first time in five years I have a sense of closure and the peace of mind that I did everything I could to see there was some form of accountability from a neglectful GP’s practice. Deborah, I cannot thank you and your colleagues enough for caring so much. You and the members of your team are personally responsible for ensuring we can create a few enjoyable memories for my mum." "Recommended Legal 500, Associate, Deborah Powlesland, whose strengths are ‘attention to detail and identifying the right experts’ in the fields of gynaecology and obstetrics cases. ".